If you are a fan of live theatre, then be sure to take in a show at the Walnut Street Theatre. Currently in their 206th season, this is America’s oldest theatre and they truly know how to put on a show. The current performance, “Bad Jews,” was the biggest show in New York last season and serves as great comedic relief for more mature audiences. This play is so good that it has quickly become one of the most produced new shows in the country. The story centers around Daphna Feygenbaum, a Jewish girl with an Israeli boyfriend. Daphna’s cousin comes home with his shiksa girfriend Melody and there is a dispute over the ownership of their grandfather’s Chai necklace. What ensues is a hilarious, viscous confrontation that covers topics like family and faith. “Bad Jews” will run until November 30th. For a more family-friendly play, be sure to check out the upcoming “Mary Poppins” musical that will run from November 4th through January 4th. This is a great treat to bring your friends and family to enjoy – especially over the holiday season. 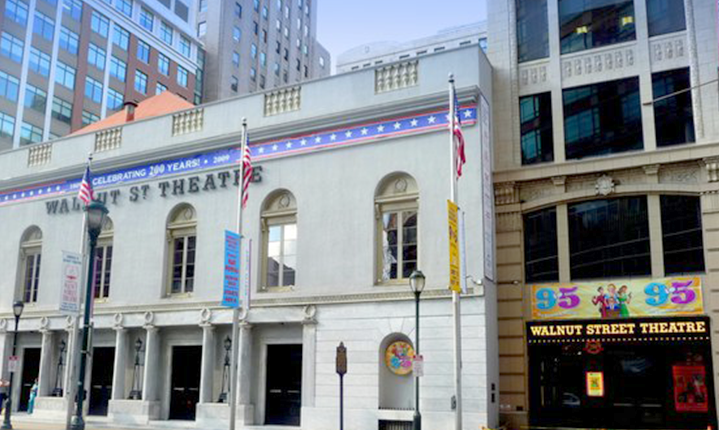 The Walnut Street Theatre is located at 825 Walnu Street in Philadelphia. For more information call (215) 574-3550 or visit their official website by clicking here.